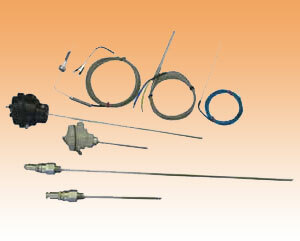 Thermocouples & thermoresistances mineral oxide insulation (MgO) with grounded or ungrounded junctions. Sheathes & types available for all temperatures. Special shapes & fittings can be offered on request. Measuring of temperature through Electronic Temperature Controller indicator.